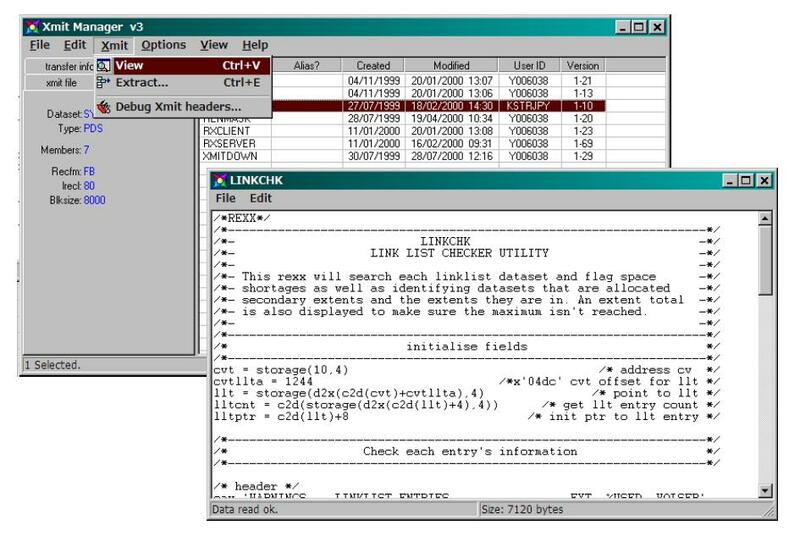 Xmit Manager is a Windows based tool that allows for the manipulation of IBM Mainframe created Xmit format files. 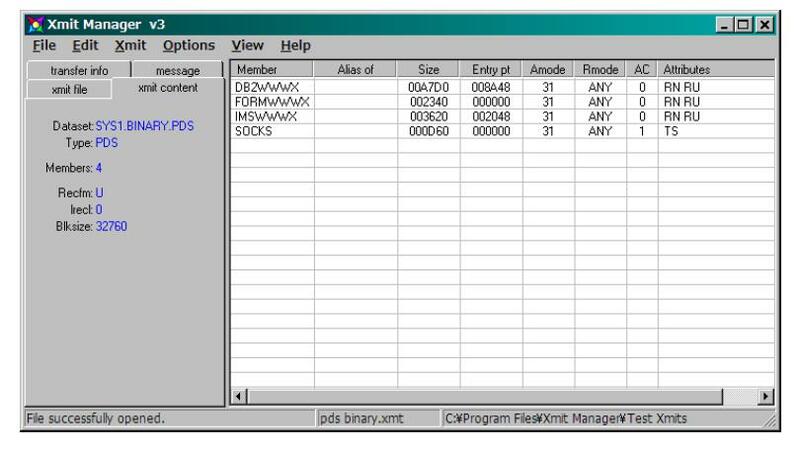 With Xmit Manager you can open Xmit files and view or extract the data within them, whether that is binary or text based. 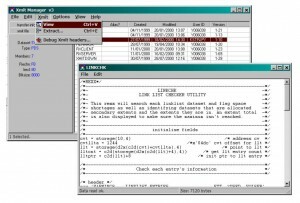 Xmit files with Partitioned datasets or Sequential datatsets content can be dealt with similarly through the Graphical Interface.